Cookies are pieces of data that are downloaded to your smartphone or computer when visiting webpages. They're stored on your device so that websites can remember whether you've visited them before. They're useful, but sometimes they can be annoying (particularly if we like our privacy), which is why we might be tempted to disable them. However, disabling cookies can sometimes stop websites from loading and working properly on our phones, which is why, even after switching them off, we might want to re-enable them again. This guide explains how to do that if you have an iPhone, outlining how to enable cookies for the Safari browser, and covering iPhone operating systems down to iOS 9. That's it, you can now resume viewing websites as normal. Of course, you will be asked by each new website you visit whether you accept its cookies, but this is as it should be, and you can choose to tap 'Yes' or 'No' according to whether you trust each website. That's it, although you could instead tap Allow from Current Website Only, which would mean that only first-party cookies are allowed, rather than third-party cookies from websites you've visited previously. You could also tap Always Allow, which would enable every kind of cookie, even those that don't come from a party whose website you've visited. Why Do I Need to Enable Cookies on My iPhone? In our increasingly privacy-focused age, cookies are getting a bad rap. Some of this is justified, but this doesn't change the fact that cookies can actually be very useful. For example, cookies remember your login data for particular websites, so that whenever you return to them you remain logged in, and don't have to go through the hassle of remembering your password every single time you visit. Similarly, cookies remember your settings for specific websites and domains, saving you from having to answer the same irritating pop-up that asks whether you'd like to receive notifications, to take another example. And for online retail sites they save what's in your shopping basket, which means that they're all-but essential if you're a regular online shopper. They are, in other words, a big timesaver, which is why enabling them is advisable. However, you can choose to periodically delete the cookies you currently have stored, without opting to permanently disable cookies. This might be desirable in situations where you've stored settings or visited sites you'd rather erase. 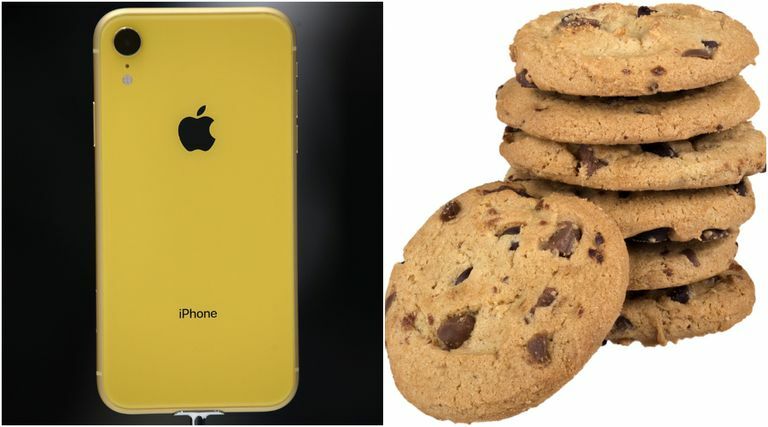 ﻿By doing this, you clear all the cookies you currently have stored on your iPhone, without preventing new cookies from being saved during subsequent use.